Are you interested in being your own lord? Commanding your own town to grow and prosper? Then go onto your tablet and download Townsmen from Handygames at once! 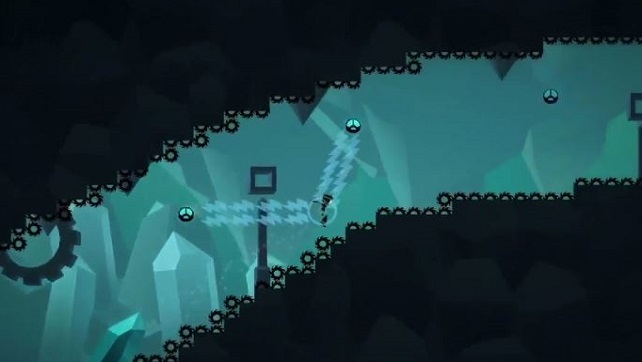 Now that I’ve convinced you to get the game I’m sure you want to know what it’s about right? Well here’s some basic stuff. At the beginning you get your own castle to run with your own Townies to live in the town around your new estate. You get to watch over them and the town from a god-like overview. It is your duty as the town’s lord to keep the peace and expand it while keeping your Townies happy! To think you started with such humble roots… in a castle. Every day you get to watch your Townies go about their activities, either it be working, drinking, or eating. The simple hand drawn-like artwork will have you staring at the screen enjoying things happen for hours before you realize you forgot to build something important. The sun beams down on the rippling water as the animals wander around through the trees giving this game a wonderful environment to watch and enjoy playing in. Moving on up… to the Black Plague! There are many buildings to have your Townies construct, every one of them very important to a thriving town that isn’t burning to the ground or dying to Black Death. So good luck, and don’t let your Townies hate you…at least not for too long. I first played Townsmen on my phone, I didn’t like it because of the small screen I had and a cruddy processor. I downloaded it onto my tablet to give it a second try, and was happily impressed. 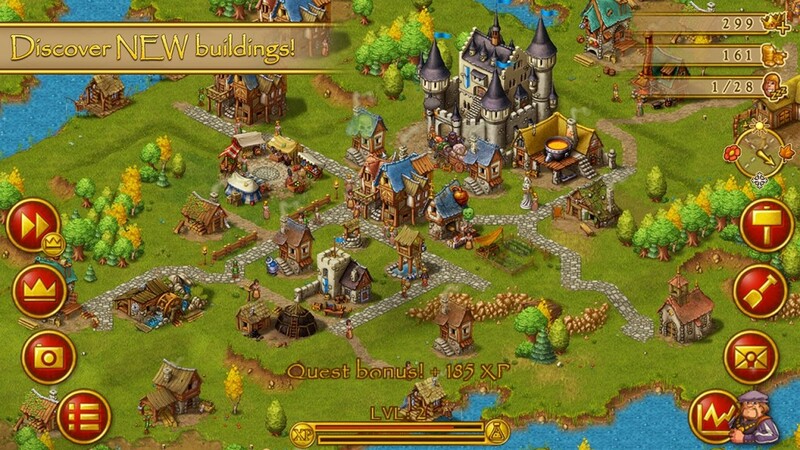 My personal likes in games improved to a broader spectrum and I found Townsmen to be very enjoyable. Each map is different, and that gives multiple themes to play out in either story or sandbox. 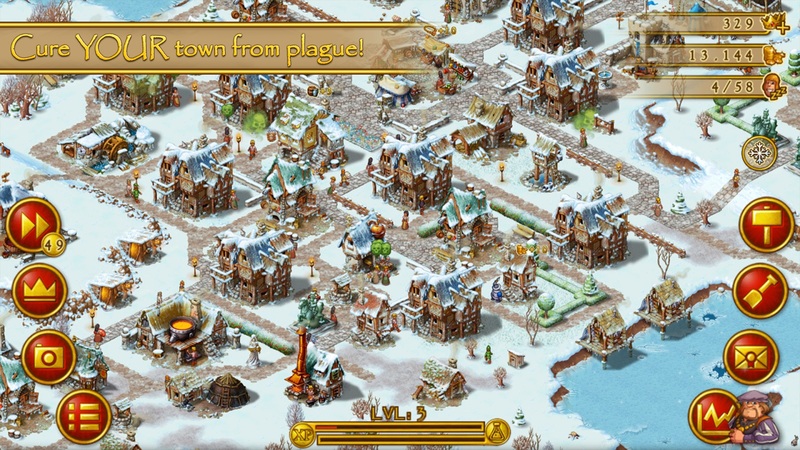 The best part of Townsmen is that it is free on Google play, with some in-game purchasing. I plan to continue playing and recommend that you give it a try.